It’s not often a game resonates so poignantly with so many people. Depression Quest was released on Valentine’s Day this year and has caused quite a stir on the internet. 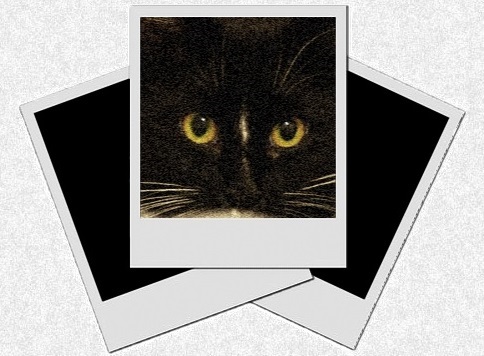 It can be accessed from DepressionQuest.com for free, with an option to give a donation. 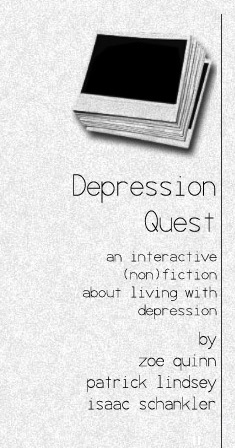 Depression Quest is an independent labor of love by Zoe Quinn, Patrick Lindsey, and Isaac Shankler. It is a beautifully written browser-based text-adventure game. A downloadable version is currently under development and will be available soon. You play the role of a 20-something who suffers the illness of depression. You make choices on how to interact with friends, family, a love-life, and work. There is a slight twist, however. What you can do to respond to a situation changes as you go through the highs and lows of your depression. On days where it’s particularly bad, you won’t get to do as much. Options that would otherwise be available get crossed out. This illustrates the debilitating effect of the disease for those who do not suffer from depression. While a “normal” person might be able to decide to just go with something even though they do not feel like doing so, a depressed person would be unable to make that same decision. Depression Quest is not meant to be entertaining. The stated goal of developers is to help raise awareness, to show those who have depression they aren’t alone, and to provide better understanding for the disease. This game effectively demonstrates how, while some options are perfectly viable and reasonably achievable for those without depression, the disease practically chops off the legs of someone who suffers from it. I consider myself close to a few people who have depression and this game has helped my relationships with them. It’s easy to dismiss someone who’s experiencing the down cycle of depression and not feeling up for being social. Without the patience that comes with understanding, it’s also difficult to process the thoughts being shared by a friend who has depression. The game emphasizes how having a support system, therapy and proper medication can really help those who suffer from the illness. This game should be experienced by everyone, even by those who aren’t clinically depressed. With depression affecting one in ten adults, it’s rare for people to not know anyone who suffers from it. For me, this game brought better awareness and understanding. It’s taught me how to actually be helpful when someone approaches me to chat about what’s bothering them. With better understanding how the disease works, more people can be part of the support structure depressed individuals so desperately need. Games like Depression Quest are just one small step in helping the world be a better place. Review: Tomb Raider 2013 (PS3). David Brent Returns To The Office March 15th! My New Favorite Internet Thing? Goatdubs. Fruitless Pursuits Predicts the Oscars!